Apple's new iPhone 4S is just last year's design loaded with a new brain and more memory. It will run your apps faster and Apple's new iOS5's Assistant, an artificial intelligence program that listens and interprets your orders, and a new camera. It's the same old design as the iPhone 4. Nothing to say here. Same materials, same look. Plus: Your current case will work. • CPU and graphics: The iPhone 4S now has the iPad 2's dual-core A5 CPU. It also has dual-core graphics, which will allow for faster and more detailed 3D. Apple claims this hardware combination makes the iPhone 4S seven times as fast as the iPhone 4 on games, and two times as fast on normal tasks. • Internet speed: Like rumored, the new iPhone 4S runs on faster HSPA+ networks. That means that your telephone will download stuff faster from the Internet. Before it was up to 7.2 Megabits-per-second downloads. Now they claim two times as much: 14.4Mbps. This depends on the carrier, of course. I don't know about you, but on AT&T I never get the maximum speed they claim. Apple claims that, in real life situations, they are fast or "faster" as the competition's phone on faster 4G networks. We will test that claim. Update: AT&T has pointed out that their phone will be faster than Verizon and Sprint's because their iPhone 4S models will only run on CDMA. The speed boost will only work on HSPA+ networks. If you want that download speed increase, it seems that the only option is AT&T. In addition to that, Verizon and Sprint's iPhone 4S would only do voice or data. AT&T's iPhone 4S will do both simultaneously. • New camera: There's a new camera in the iPhone 4S. Its sensor is 8 megapixels, compared to the previous 5 megapixels. Much better than before. The most interesting thing is the sensor, however: It's a CMOS backside illuminated sensor. Apple says that gets you 73% more light than the iPhone 4 sensor. The latter was already quite impressive, so I can't wait to try this one. Apple has also remodeled the lens system, with five lens elements. They say they get now f2.4, which is very good. The camera system is also faster than the previous version. • New HD video: With the new sensor and new lens system, the camera now shots video at 1080p video with real-time image stabilization and temporal noise reduction. • Battery life: Apple claims the new processor doesn't impact the life of the battery. All the contrary. They say it will give you 8 hours talking battery life with 3G networks. If you set your phone to 2G, you will get 14 hours of talk time. 3G web browsing will give you six hours of battery life, while Wi-Fi access runs up to nine hours. Video playback sets the battery at an impressive 10 hours maximum, while music goes up to 40 hours. These numbers best the iPhone 4's previous theoretical battery life. • New antenna design: Apple says that they have changed the antenna system, presumably to solve the signal attenuation problem. • Storage: The iPhone comes now with 16, 32 and 64GB of storage. It can call people, play music, send and receive text messages and emails, reading them with a natural human voice or set up events and meetings, remind you of stuff... You can also dictate in any app. But the key about Siri, according to Apple, is that it isn't just voice recognition. It really understands natural language and follows complex commands. It's conversational too, so it will reply back to you and you can reply back to it. Think Enterprise's computer vs the current crop of voice recognition software. This thing actually seems smart, judging by the demos. It actually interprets what you are saying. You don't talk to it using commands. You just talk to it like you would talk to another person. So instead of asking "tell me the weather today" you can just say "Do I need a raincoat?" and it will reply "It sure does look like rain today!" Or if you say "Wake me up tomorrow at 6am" it will automatically set up the alarm for you. Or "hey, remind me to buy milk later" and it will remind you to buy milk as you pass near a grocery store—yes, Siri is location aware. Apple has not disclosed if Siri would be available for developers, but I don't see why not. It's only logical to expect all apps to be integrated in the assistant flow, so you can ask Siri to buy you two tickets for Avengers playing around 7 on a Sunday. That's the kind of stuff this thing seems able to do, although we would have to try it to know. 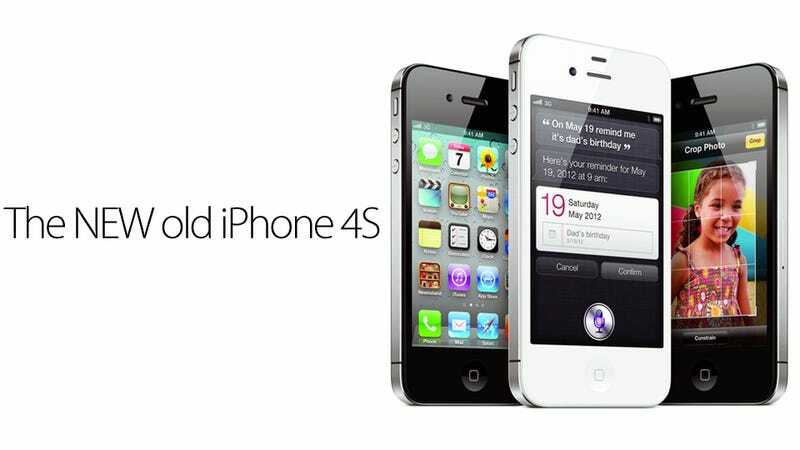 The iPhone 4S would be available in black and white. The 16GB model would be $199, 32GB for $299 and 64GB for $399. The iPhone 4 would still be available in black for $99. All these prices require a contract. You can pre-order the iPhone 4S on October 7. It will be available on AT&T, Verizon and Sprint on October 14.
iPhone 4S international availability : Initially, the iPhone 4S will only be available in the United States, Canada, Australia, United Kingdom, France, Germany and Japan.